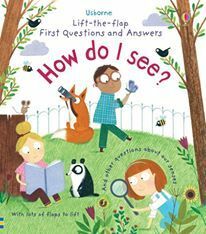 Home › Usborne Lift-the-flap first questions and answers How do I See? Usborne Lift-the-flap first questions and answers How do I See? With lots of flaps to lift on every page, this informative book answers the questions that all young children have about their senses. 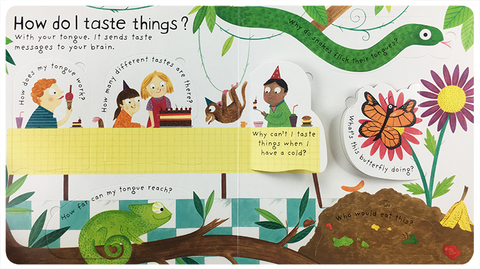 Each page asks a different question, such as ‘How do I taste things?’, ‘How do I see?’ and ‘How do I hear?’. 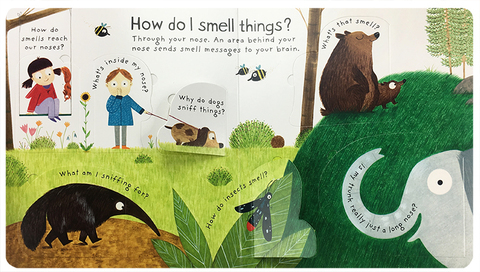 A wonderful introduction to the senses for inquisitive young minds.